The 2011 NCAA Tournament bracket was announced about an hour ago. Here is a breakdown of KU’s region of the bracket. Kansas plays Boston University in the first round. Boston isn’t a very experienced team and they really won’t be a problem for the Jayhawks. No No. 16 team has beaten a No. 1. So there’s no need to worry here. Phog Blog has a little write-up on them right here. Illinois or UNLV thoughts: Either one of these teams will be a hard draw for KU in the second round. Both are battled tested as they’ve faced tough schedules. Good wins: Butler, UNLV, St. John’s, UConn (x2), Syracuse, Pitt, Notre Dame. 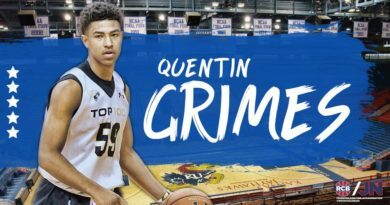 Louisville is going to be a very hard match-up for the Jayhawks if they face in off in the Sweet 16. Rick Pitino is one of the greatest coaches of all time and they had a very good year in the Big East. Don’t be fooled with their record. Seven of those losses are in the RPI Top 50. Four of those are in the top 15 RPI. Good wins: North Carolina, Belmont, Marquette, St. Mary’s, Georgia (x2), Kentucky. A look at some of their losses: West Virginia, Missouri, Tennessee (x2), Florida (x3), Kentucky. Those are all losses to teams in the tournament. All of which could advance in their first game. Vanderbilt would be another tough draw for KU, but Louisville would be much more difficult. The most likely candidate to make it out of this group is Notre Dame. I’d also say they’re probably the hardest No. 2 seed match-up. Good thing for KU fans is that some of these other teams will have a chance to knock them off. I think the least likely team to face Kansas in the Elite Eight is Texas A&M. 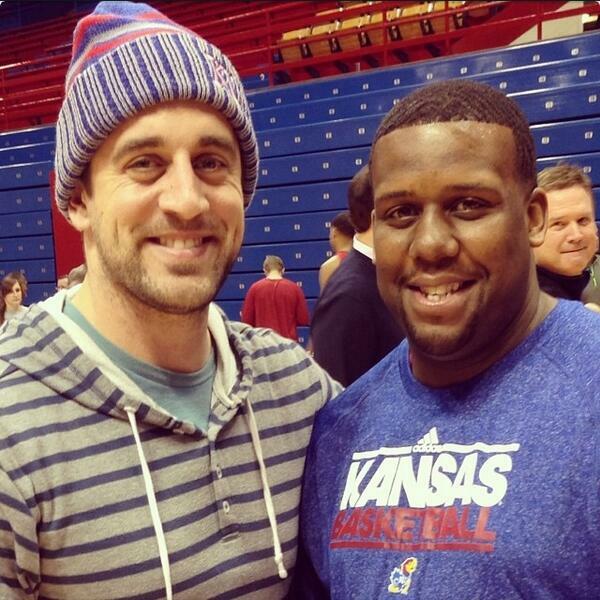 Aaron Rodgers in Lawrence, Kan.